For some weird reason, British food doesn’t always have the best reputation around the world. To anybody that’s eaten a great vegetarian toad in the hole (or even a regular toad in the hole), that’s an absolutely travesty. I will agree that it does have an unusual name, though happily no toads are involved anywhere along the production line, at least that I can see. 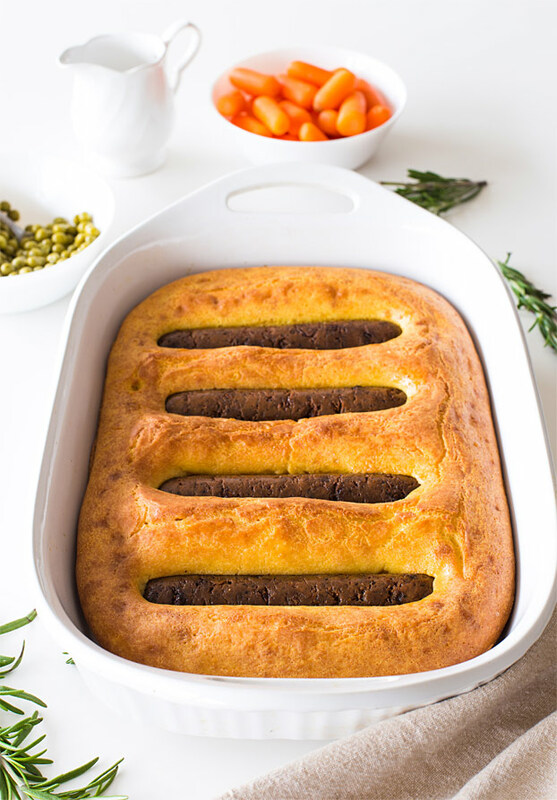 No, vegetarian toad in the hole is a light, fluffy dish interspersed with delicious veggie sausages. As a quick history lesson, the name was first used in 1762, and “which calls toad in a hole a “vulgar” name for a “small piece of beef baked in a large pudding.” (i). 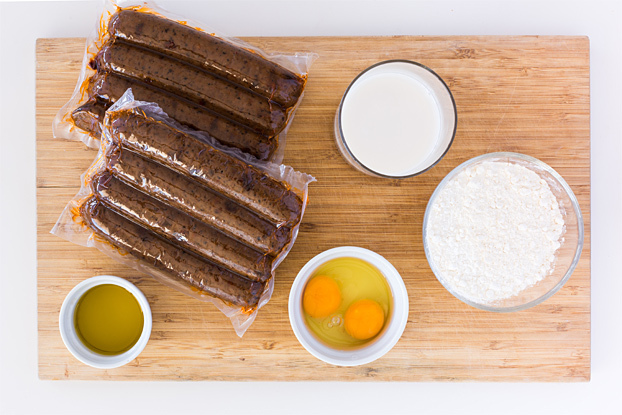 At the beginning just about any meat was accepted, and was slowly changed and refined to using exclusively sausages, to make toad in the hole as we know it today. These days vegetarian sausages taste great, and I can see no satisfying reason that pork should be used instead. If you want to read my justifications for that, please see this article. Tofurkey, Quorn, Beyond Meat and Linda McCartney are all your friends. Well, maybe Linda McCartney isn’t, but her sausages can be. So, vegetarian toad in the hole it is. If you’ve come to this page then there’s a good chance you know that toad in the hole is often served with gravy and a variety of vegetables. Carrots, peas, broccoli, and cauliflower all go well. Some like to roast potatoes and parsnips to go with their toads too, and I can’t say I blame them. All are awesome, and won’t let you down. 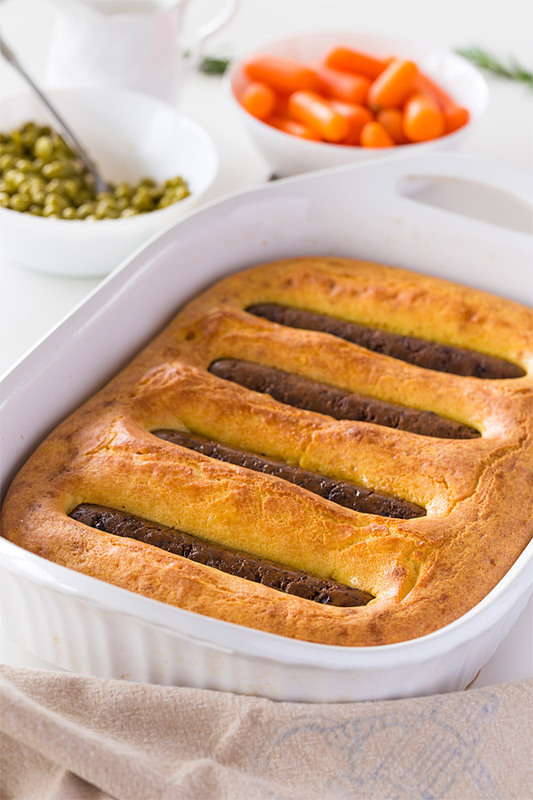 What else don’t I know about veggie toad in the hole? Go on, surprise me! Well, even though vegetarian toad in the hole probably started as a cheap dish for the masses, being described as “a homely but savoury dish” and “noting that it could serve 4-5 people for a measly 1 shilling and 9 pence” way back in 1861, there’s good reason it stuck around (ii). Weighing in with over 30g of protein per portion (that’s massive), toad in the hole was and is a real belly filler. Combine it with all the goodness of carrot, peas and broccoli and you’ve got a beast of a meal. No wonder it became so popular. What are you waiting for? Time to tuck in! Need help going vegetarian? Check out the 30 Day Veggie Challenge here. Not sure how much protein you really need? 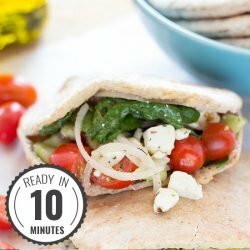 Get your free meal plan here. (i) – credit goes to India Mandelkern and her excellent blogspot, Homo Gastronomicus. (ii) – kudos also goes to India and her article for this gem of a quote. 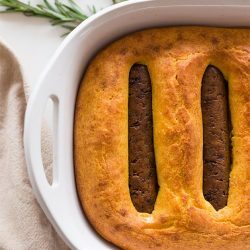 Vegetarian toad in the hole paves the way for a meat-free future - why eat meat when you can have this instead? 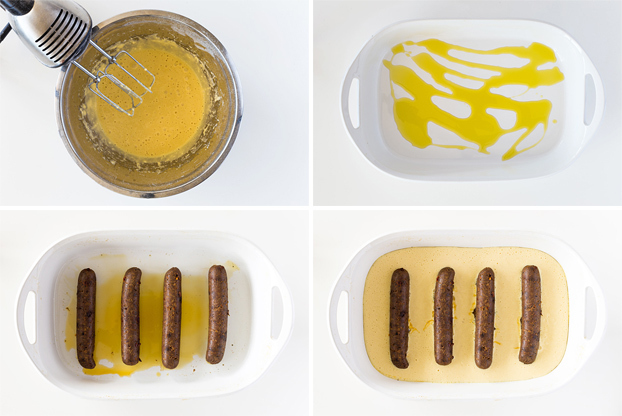 a tsp of mustard mixed into the batter to give it and extra twist! Delicious. 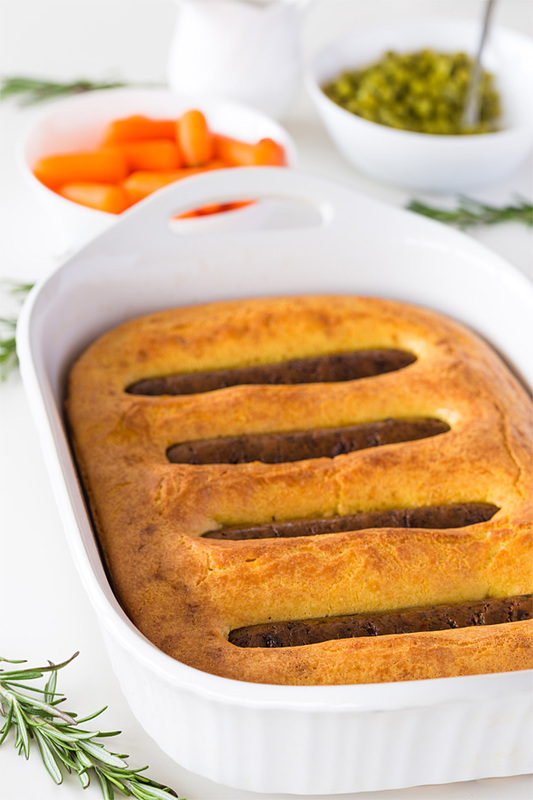 We recommend serving vegetarian toad in the hole with gravy and your favourite veg - carrots, peas, broccoli - whatever you fancy! Need a dessert to chase down that veggie toad in the hole. Pineapple sorbet will do the trick. 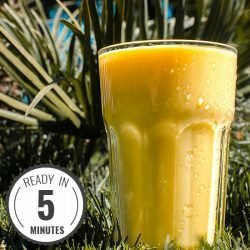 Or how about a lovely mango lassi to wash it down with? I used to love Toad in the Hole. It was a staple of school lunches in England where I grew up (probably still is). 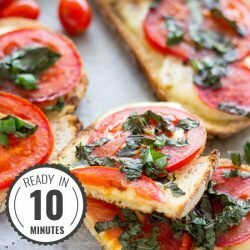 Now I am vegetarian I can’t wait to give this recipe a go. I seem to remember we used to often have it with gravy – a nice thick mushroom gravy would be a tasty addition. I agree, a good thick gravy is the way to go. Mushrooms aren’t for me, but onion gravy would be awesome too!